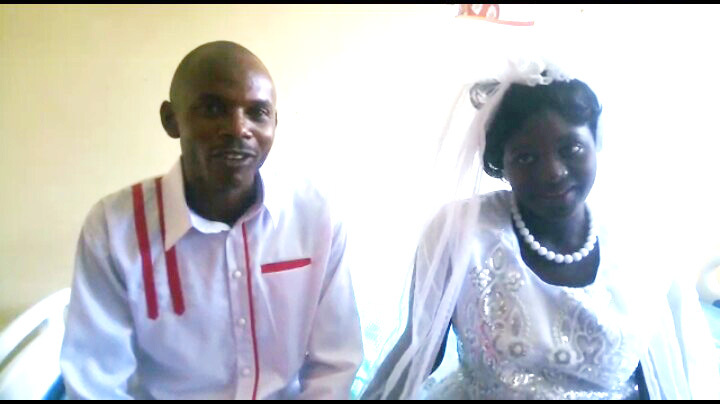 Home MTAANI NEWS Bride says ‘I do’ from Thika Level 5 Hospital. 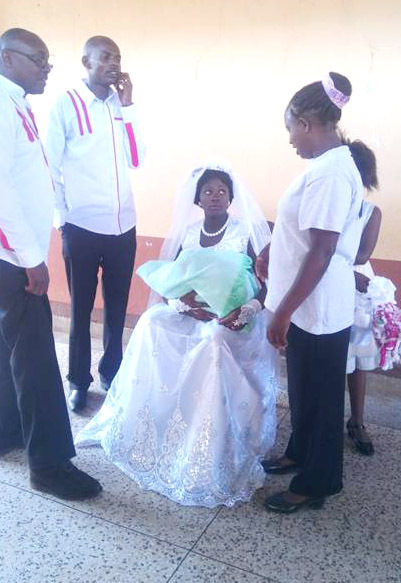 It was double celebration for a middle-aged couple from Thika when they summed up the joy of welcoming a newborn baby boy with the exchange of their marriage vows at Thika Level 5 Hospital on Saturday. Francis Mungai and his lovely bride Veronica Kainu took their vows at the hospital after the management informed them that it was not possible for the bride to leave the facility just two days after delivering a bouncing baby boy through caesarian section. The couple, who had scheduled to wed at PCEA Umoja Church this Saturday, decided that they would not postpone their plans and so they approached the hospital management who allowed them to go on. “We had no alternative but to do our wedding here. The doctors told me that my wife was not in a position to go home for the wedding and so I requested them to permit us go ahead with our plans from within the compound,” explained an ecstatic Mungai. On her part, Kainu thanked God for the double blessings adding that the occasion came to her as a surprise as she had given up hope on the day after she got admitted for delivery. The couple, who currently reside at Kiganjo Estate, have no immediate plans for a honeymoon and plan to rest for a while.